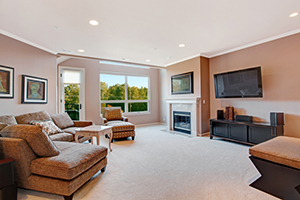 Since 2003, All Clean Carpet & Upholstery has been providing comprehensive carpet, upholstery, and tile cleaning services for homeowners and commercial businesses in the Winter Springs area. 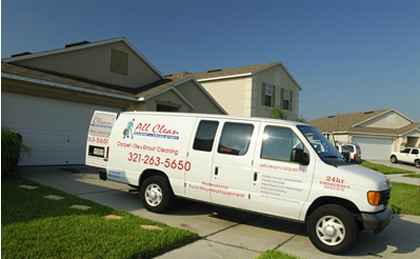 Since our inception, we have successfully cleaned over thirty million square feet of carpet and tile as well as performing thousands of upholstery cleaning, duct cleaning and water damage restoration services for customers across Central Florida. Our employees are certified by the IICRC and are all neatly uniformed professionals who have years of experience. Don't be the victim of shoddy work that can ruin your carpet by carpet cleaners who are not certified, nor insured, and utilize poor equipment and unproven methods. Our "hot water extraction" or "steam cleaning" method is recommended by all of the largest carpet manufacturers as the best and safest way to clean carpet. 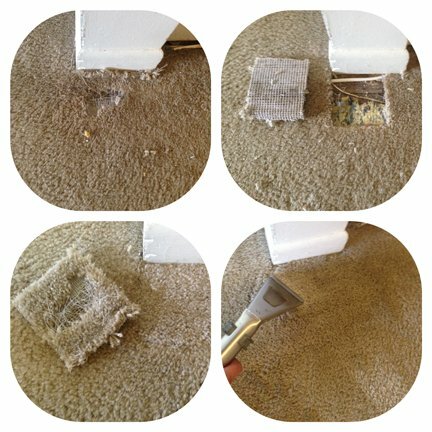 Whether you need your carpet, upholstery or tile cleaned, call the trusted experts at All Clean Carpet & Upholstery! All Clean is an owner--operated business and the pride in our work shows. Our vehicles are professionally lettered and equipped with the latest in carpet cleaning truck-mounted technology. Our state of the art equipment will provide you with the peace of mind that comes with having a professional carpet and tile cleaning restoration service in the greater Orlando, Florida region. All Clean utilizes the "hot water extraction method" or sometimes referred to as "steam cleaning", even though no steam is utilized. This is the method recommended in the maintenance brochures of ALL the major carpet manufacturers; they recommend this method because their own research indicates that the hot water extraction method ensures the best results when cleaning your carpet. The methods we employ to obtain a successful carpet cleaning are considered to be best industry carpet cleaning practices. All Clean utilizes a wide range of products and procedures to permanently remove odor problems even in the toughest cases. After All Clean Carpet cleans your carpet, we will deodorize your carpet thus removing any smelly odors. Remember like anything else to remove the odor one must remove the odor causing agent. We are experts at identifying the cause of any carpet odors. With our truck mounted hot water extraction method odor and dirt does not stand a chance! Any Three Carpeted Areas Cleaned For Only $75.00!! Do you have a carpet that is faded or bleached in areas? Many times a carpet has suffered so many stains that it could be the prime candidate for a carpet dye. If your carpet has seen better days and is in the right family of colors and fibers, we can expertly match, dye, and blend the colors of your carpet to restore it to like new condition. Did your carpet suffer an unfortunate accident causing it to tear or fray? Does it have cigarette burns or unsightly holes? Replacing your carpet can be expensive, which is why All Clean offers carpet patching and carpet repair services for damaged carpets. we can transplant a patch of carpet from one area to the other, saving you the need and expensive burden of a carpet replacement. Whether it is a patch, tack strip, j-bar or any other carpet repairs our carpet repair services can repair your carpet in a jiffy! Did you know that your upholstery should be cleaned at least once a year? To keep your upholstery looking new and smelling fresh, All Clean can professionally and safely remove dirt, stains, and odors from all items such as sofas, love seats, ottomans, chairs, drapes, and even blinds. 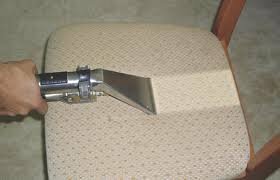 We clean all upholstery with our truck mounted hot water extraction method which will get your sofa, chair, chaise or any other piece of upholstery furniture looking great again! Best of all our upholstery cleaning prices are very competitive and many times are up to half the price of the competitors. Same day upholstery and furniture cleaning appointments are available now! Sofa & Loveseat Only $119.00!! Have your tile and grout become dull and unsightly, the grout dark where it once was white? At All Clean, we also offer tile and grout cleaning and sealing services for residential and commercial properties. Our tile cleaning service in Orlando start at just .35cts per sq. foot, which is up to 50% less than what other tile cleaners in Central Florida charge! All Clean uses the best tile cleaning methods and products available, providing expert service that will not damage your expensive tile. Our tile cleaning crews are equipped with the best tile cleaning equipment utilizing powerful truck mounted for an almost like new tile and grout cleaning experience! For all your residential or commercial carpet, upholstery and tile cleaning needs, call the experts at All Clean Carpet & Upholstery for affordable and reliable service! It's Not Clean 'Til It's All Clean!